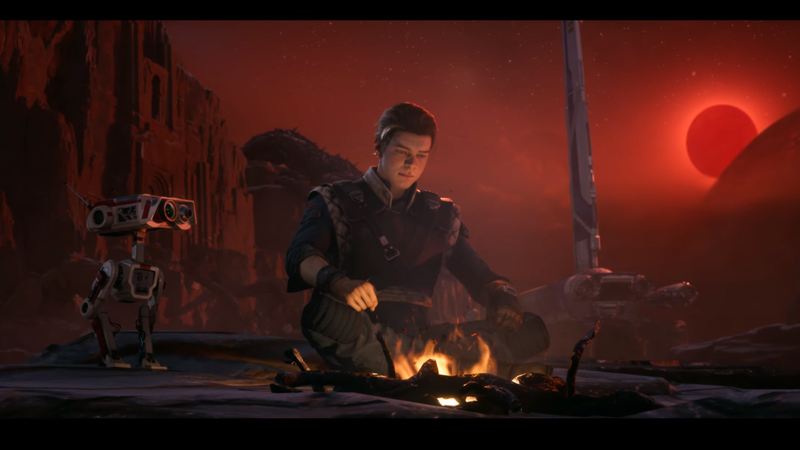 Today at Star Wars Celebration in Chicago, Respawn Entertainment, makers of Apex Legends and Titanfall, showed off their next game, Star Wars Jedi: Fallen Order. The game will star Cameron Monaghan as Cal Kestis, a Jedi Padawan who survived Order 66 and the destruction of the Jedi Order. Monagahan is best know for his roles in Gotham and Shameless. During the panel, Respawn Entertainment revealed more details about the upcoming game. Cal is hiding from the Empire after the fall of the Jedi and is working as a salvager on a new Star Wars planet named Braka. He will have a small droid companion with him, BD-1. Cal will also have a former Jedi Knight as his mentor and friend. She is being played by actress Debra Wilson. Respawn Entertainment wants a combat system that is easy to pick up, but that will also have “a lot of depth to it”. It was described as “thoughtful combat”. Players will have to use all of their abilities and moves to succeed in combat, according to Respawn Entertainment. The game will introduce many new planets and characters into the Star Wars universe. Respawn has worked closely with Disney and Lucasfilm. One example that was given is the new Purge Troopers, a new melee-focused variant of Stormtroopers that are specifically created to hunt down Jedi who survived Order 66. 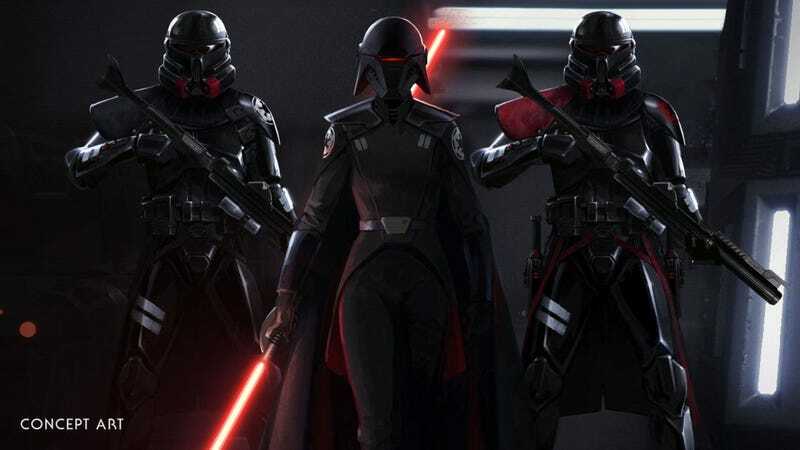 According to Respawn, these troopers have actually appeared in Star Wars comics already and will also appear in Star Wars Jedi: Fallen Order. Before the event, EA revealed the game would be single-player only, will not contain any microtransactions and would have no loot boxes. This was reconfirmed during the panel by Respawn Entertainment CEO Vince Zampella. The game is also being build in Unreal Engine 4. 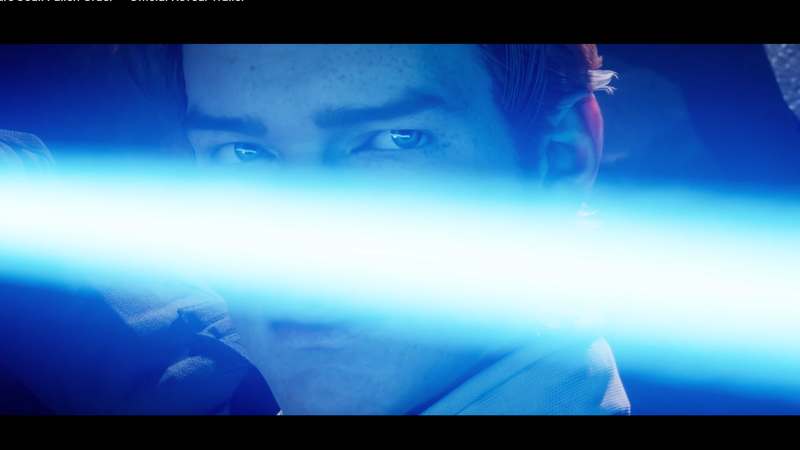 Star Wars Jedi: Fallen Order will be released for PS4, Xbox One and PC on November 15, 2019.